Our used Swift Elegance 565 is shown below, for more information please contact us. FREE MOTOR MOVER WITH THIS VAN! 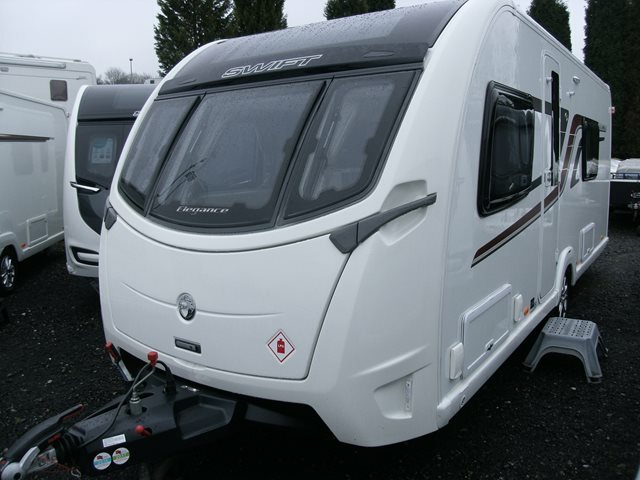 This 2015 Swift Elegance 565 is still at the very top of design and construction and features two bench seats to the front, central kitchen, twin fixed single beds and spacious end washroom. The Elegance also includes alarm, external mains and BBQ points, heavy duty corner steadies, Status 570 aerial, solar panel, AL-KO ATC anti-snaking device, ALDE wet central heating and leather/SwiftShield upholstery. For further information please contact us on 01384 413336 and ask for a member of the sales team. SPECIAL OFFER - BUY THIS VAN AND GET A FREE MOTOR MOVER FITTED!